So is it easy as 1 2 3 now? But before anything else, what is spelunking? What is caving? These two words are different from each other when it comes to intentions though both activities are being done in caves. Spelunking is the touristic visitation of caves while caving is exploration and examination of caves which is normally for professionals. I learned it from our guides. 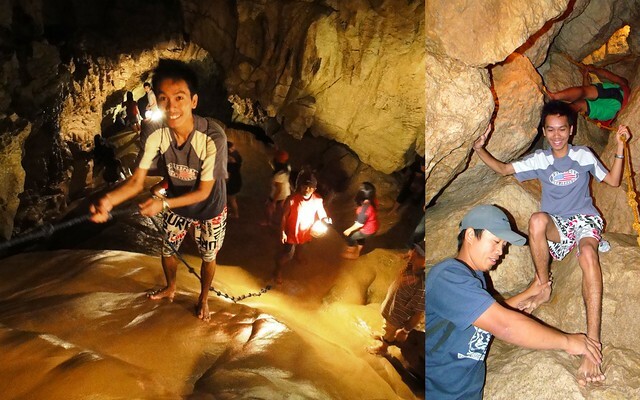 If you think spelunking is easy as it is, then try Cave Connection in Sagada. Most people may find it difficult to do. What more if these be done for 4 hours or more. And this is how the adventure in cave connection is. But don’t worry, spelunking may be easy as 1 2 3 if you just follow the guidelines and safety precautions properly. And of course, just be cautious and alert always. 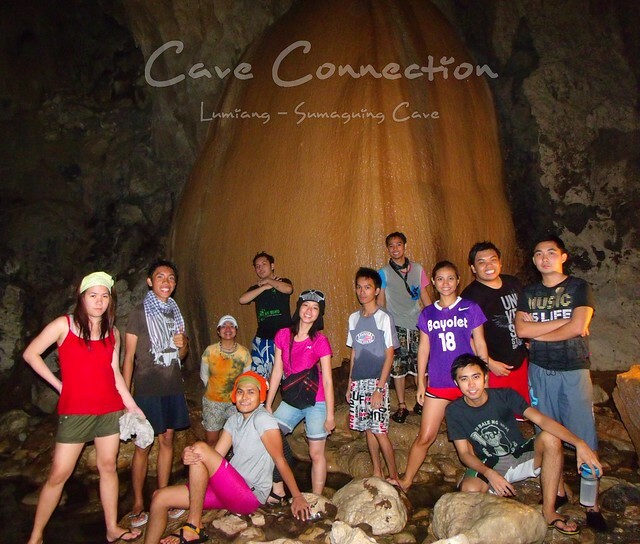 I have no plans of doing the cave connection again but I don’t want to be left out from all the memories and experiences during the activity so I joined our group despite of doing it the third time already. After all, it’s a brand new experience for me with different people. 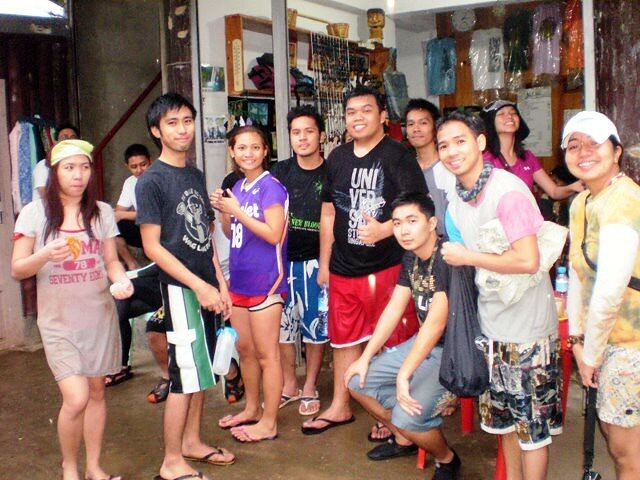 Time came and we’re all off to Lumiang Cave, the starting point of Cave Connection. The cave connection will take 4 hours or more depending on the traffic inside the cave. 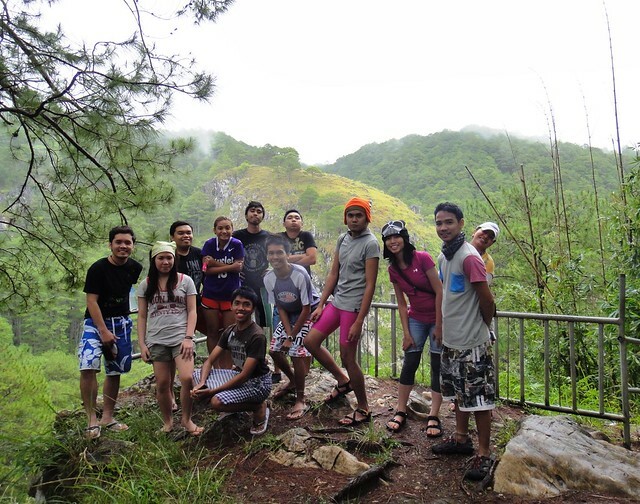 There should be one guide per 2 – 3 persons and the activity costs PHP 400 per person. We had our guides from SaGGAs. And before we start our activity they briefed us on what to expect and to do during the activity, tips and precautionary during the activity. So what to expect during the spelunking? Expect to climb, slide, rappel, cross trails and obstacles, pass through water or better yet swim and crawl when get tired. You should be in good physical condition to do spelunking. We also passed by small passages. So those with claustrophobia or fear of confined spaces are not advised to take such activity. You’ll know if you’re already halfway the cave connection if you’ll be able to pass by the dance hall. It is a vast area that looks like a dance hall. We’re halfway the trail and we’re all tired and hungry. We all just wanted to get it done. After 4 hours or so, we’re now at the second part of the cave connection, Sumaguing Cave. This is much easier than the 1st one but because of tiredness and hunger that we’re feeling that moment, it feels like this one is more exhausting. There are lots of flowing water in the Sumaguing cave, so expect to get wet. Our picture will show you how we don’t bother anymore on how we looks like. Wet and weary. 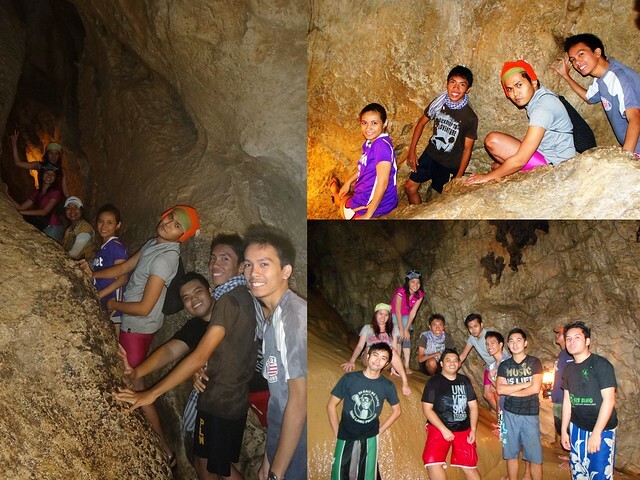 It took us another hour or so to explore Sumaguing cave. There are a lot of tourists inside which took us longer to get into. We also found some of the famous formations inside. If you think spelunking is just for young people, then you are wrong. We saw some on their 40s and 50s doing the cave adventure, too. I didn’t feel like turning back as I walked upward. The view behind me is the cliff of the cave. Then finally, I saw the light. We survived the cave connection! It’s a relief. A great and fun attainment for all of us. See how we looks like after! Because of the number of times I did the cave connection, I actually quite knew the trail already but that doesn’t mean I can be a guide already. I consider the cave connection as one of my adventurous things I’ve done. 4 hours plus of spelunking is not an easy thing to do but with proper instructions and experience, it will be easy as 1 2 3. Cheers to my 3rd cave connection experience! *Photos by Darwin and/or Smarla. Thank you! P.S. This entry is my 100th post for my blog. I feel happy and excited that I made my blog this far. One hundred entries with hundreds of photos that captures more than hundreds of memories and perhaps inspires hundred plus of readers. Cheers to more blog entries! Contact SaGGAs for your guides to cave connection. There are two cave adventure in Sagada to choose from; (1) Cave Connection from Lumiang to Sumaguing Cave and (2) Sumaguing Cave only. For rates you may visit SaGGAs website provided below. Bring bottle of water, candies or chocolate bars to recharge energy. You should be in good physical condition to do spelunking. Those with fear of confined spaces and difficulty to breathe normally when in confined spaces are not advised to take this activity. Listen to your guides, be cautious and alert always. Parang bigla naman akong nahiya sa outfit at mga pose ko! Hahahaha. @Edsan/ Island Vacations, thanks! so have you tried the cave connection, too? @Batang Lakwatsero, oo nga from white shirt to dirty white. @Chyng, kala ko dati pareho lang sila… magkaiba pla sila. Now I know! natatawa tlga ako sa itsura ni Nikki after ng cave connection. bwahaha. Truly, the cave fanatic in me had came out upon reading this awe-inspiring post. Thanks for sharing.